Bruce Jenner promises his family he’s “not going anywhere” in the first promo for Keeping Up With the Kardashians: About Bruce. The special, which airs this Sunday, will focus on former Olympian Bruce’s transition from a man to a woman. Understandably, the news is received with mixed emotions by his family, with his eldest daughter Kendall seen crying in the footage released ahead of the episode. The sneak peek of the upcoming episode, the first of two, also features voiceovers from some of Bruce’s other relatives. Kendall’s younger sister Kylie (17) is heard saying she is keen to get to know her father’s female alter-ego, but only when he’s prepared to introduce her to his family. 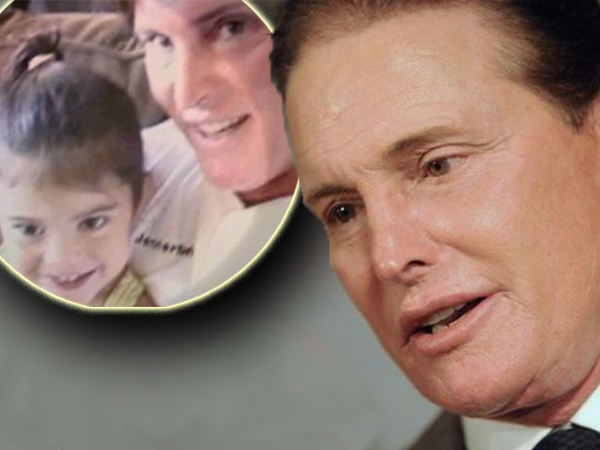 Bruce’s split from wife Kris Jenner is believed to have been down to his decision to transition into a woman. But in the preview for the show, Kris looks back fondly on her relationship with Bruce, recalling being set up with him on a blind date. “It was kind of love at first sight,” Kris says. Bruce revealed his transition news in a hotly-anticipated interview with Diane Sawyer last month. Speculation had been rife since 2013 that the former Olympian is set to change sexes. And Bruce used the interview to confirm the rumours, telling Diane: “Yes, for all intents and purposes, I am a woman.